While ntop does a pretty good job of breaking the traffic down, I still wanted even more detail about what was passing through the network. 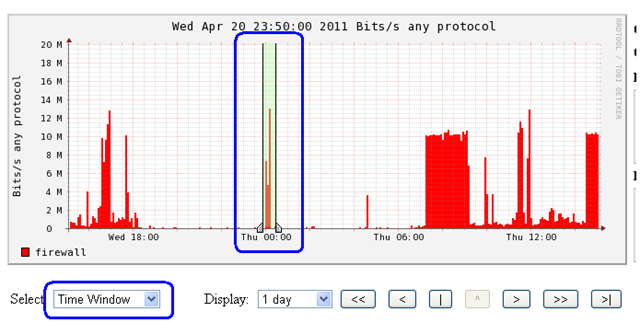 If possible I wanted to see the individual NetFlow records taken during a specific time period. That’s when I cam across NfSen. 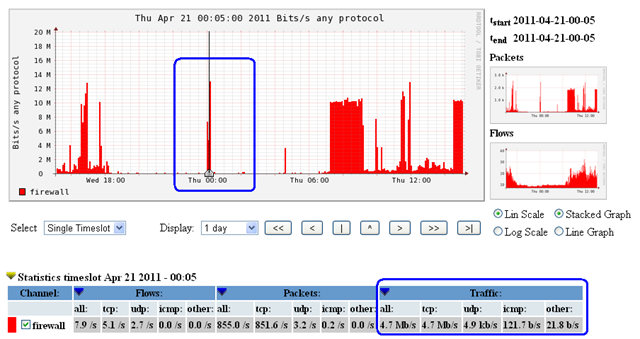 While not as “pretty” in it’s GUI as Ntop is, it has an excellent system of being able to use wireshark-like filters to directly query the NetFlow database, giving unparallel granularity in what information you can extract from the database. Both NetFlow analysers have their place because Ntop is definitely more suited for a high level, historic view of the netowrk, but for network forensics and accounting I think NfSen is better due to the filtering feature. Some admins even incorporate the two. Great ! Thanks for the mini-demo too! I’ve dabbled a bit with NFSen. Seems to be a great product with serious capabilities. I plan to spend some more time with it soon.